There are thousands of people out there who managed to take a lot of pictures before the digital cameras came out and completely revolutionized the way in which photos could be seen without having to develop them. Now there is a great way for people to be able to scan their old 35mm slide and film and create digital versions that will be as clear as possible. In this article we are going to focus on the best 35mm slide scanner and 35mm film scanner and we will provide quick, but very useful slide and film scanner reviews that you can use when you decide to purchase yours. 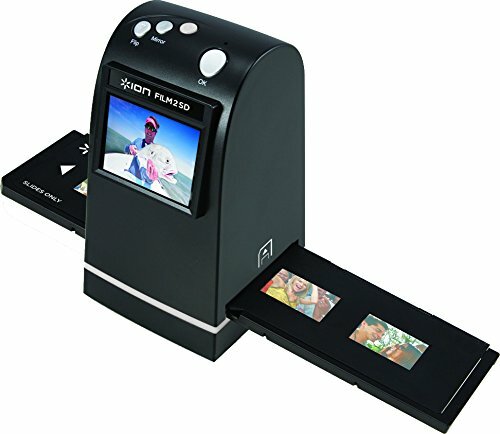 Slide and negative scanners are formatted in a way that it handles needs of slides and negatives to develop them in full sized quality pictures. 35mm slide and negative scanner further allows the users to convert the 35mm slide as well as film negatives into proper digital format. So for all those who store their memories in a film, such scanners can truly revolutionize the manner in which they archive the images. If you have been looking for a good quality 35mm slide and negative scanner but are confused as to which one to opt for, here are the main things that a quality scanner should have. What Does A Good 35mm Slide and Negative Scanner Have? Have a Quick Sneak Peek. When it comes to buying the best 35mm slide and negative scanner, make sure that it offers high output quality. Research carefully about the top scanners with best output and then make an informed decision. Top quality 35mm slide and negative scanners have high speed mode scanning even at highest resolution around 7200 dpi. The high resolution scans produce larger files and so you need fast transfer rate to scanner’s internal memory or SD/SDHC card. The high end 35mm slide and negative scanners available these days are easy to use as well. All you need to do is to just feed in the slides and negatives and you will be able to get your images in digital format. It is as simple as that. Such scanners have gained much popularity because of their ease of use quality. Stand-alone scanners scans and digitize on its own and does not need a computer connectivity. After you have got an idea as to what to have in your 35mm slide and negative scanner, here we present for you the top slide and negative scanners to take a look at. 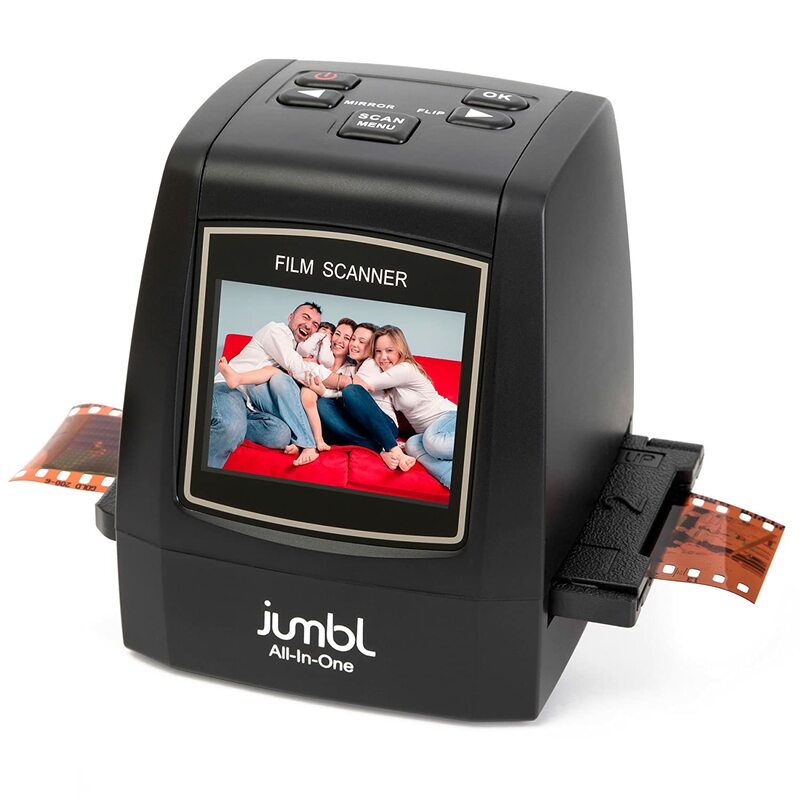 The Jumbl 22MP All-In-1 Film & Slide Scanner features a 14MP sensor for clear and detailed scanning on your old films and slides. The built-in software can improve quality up to 22MP. Output format option is only JPEG (ideal for web). There is no need for computer as this scanner automatically saves digitized output into the internal memory or if you preferred, into an SD card. This scanner scans all types of films and slides (35mm Film, Super 8 Film, 110 Film, 126 Film, 25mm Slide, 110 Slide and 126 Slide). The Jumbl 22MP All-In-1 Film & Slide Scanner is the best choice for starters for its inexpensive and quality value. Reviving your old memories is easy with this scanner. The PowerSlide 5000 Automated 35MM Slide Scanner can do the most intensive 35mm scanning. When it comes to resolution, output quality and cleaning technology, it outshines other slide scanners. You can choose two output formats either TIF or JPEG. Since this scanner is not stand-alone, you need a PC or Mac to view the digitized output. A driver software must be installed to integrate with the scanner. The PowerSlide 5000 Automated 35MM Slide Scanner offers high speed scanning with a superb and vibrant output though it comes with a hefty price for its limited 35mm scanning ability. The Power of a full size scanner is now in the compact Pacific Image Prime Film XE. The Pacific Image Prime Film XE is a sleek and compact scanner that would sit nicely on your desk. It offers the convenience of a portable unit without having to lose quality. This scanner features 48-bit of color depth and a 10,000 x 10,000 dpi resolution so you can expect large, high quality prints. This input color depth allows you to maximize the quality of your images up to 16-bit in your final scans. Combined with the dynamic range of 3.9, you can create high quality digital images straight from your 35mm slides or film. It’s simple to use, featuring a one-touch scanning that gives you results in minutes. On the other hand, the Magic Touch technology lets you remove dust and scratches from your scans so your images are crisp and clear. It has infrared sensor that detects dust and scratches. Another unique feature of the scanner is that digital noise reduction that reduces the grain you normally find when you scan 35mm slides or negatives and when enlarging images once they are digitized. Along with the magic touch, the scanner automatically corrects the color of your images to appropriate levels even on your faded films. This scanner has multi-format output of TIFF or JPEG. The Pacific Image Prime Film XE is a powerful compact scanner with a simple-to-use interface with a superb scratch and dust removal technology. It operates quickly and efficiently, and is compatible with both Mac and Windows 7, 8 and 10. The ION Film 2 SD 35mm Slide and Negative Scanner is a good option for 35mm slide or film scanning. With a reasonable price, you can convert your old slides or film negatives to digital. You can view directly the scanned image with its LCD display. The scanning speed is superb that takes up to 2 seconds on average. There is included SD card but it only supports up to 8 GB. You need to maintain the cleanliness of the mirror because this unit has no dust and noise reduction technology. The output format is JPEG. Scanning with ION Film 2 SD 35mm Slide and Negative Scanner is very easy and produce good quality output. This is a good option for starters who want their slides and film digitized. The Epson Perfection V600 is a multi-purpose scanner that scans not just documents and old photos but also film negatives and slides. This unit is excellent if you’re scanning 35mm film negatives, thanks to its ReadyScan LED technology which speeds up scanning and requires no warm-up time while Digital ICE helps removes scratches and dust. What’s great about this unit is not just its excellent scanning but it is highly efficient, making this unit an ENERGY STAR® qualified. Using this scanner requires MAC or PC. 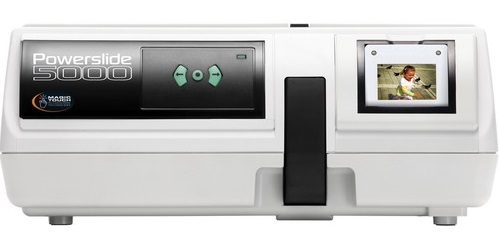 Unlike stand alone scanners which do not require third party hardware, Epson Perfection V600 needs to be connected to either by MAC or PC to process the scanning and save your digitized output. You can choose JPG, BMP, TIFF or PDF media output formats. Scanning film or slide requires investment of time. The Epson Perfection V600 helps you cut most of the time consumed in scanning thanks to its advanced technology. If you happen to have films or slides that need to be digitized, this unit is a perfect option. 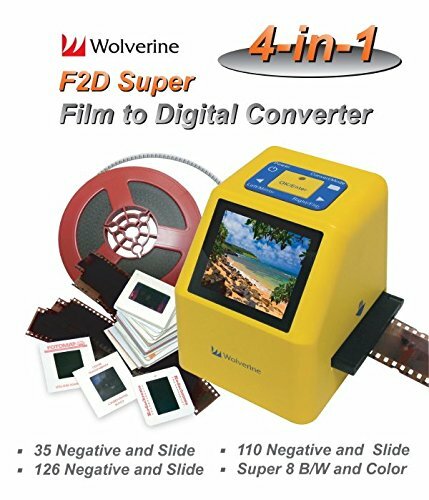 The Wolverine F2D Super 20MP 4-In-1 Film to Digital Converter is easy to use scanner with built-in software and LCD display for instant viewing of digitized images. This scanner claims to scan slides and images in just three seconds. The output is not great though it is not bad either. With up to 20MP output resolution, images are decent enough to be viewed on computers though printed output might be a little problem. This scanner scans 35 mm, 126, 110, and Super 8 negatives and the slide adapter can scan 35mm, 126, and 110 mounted slides. The Wolverine F2D Super 20MP 4-In-1 Film to Digital Converter is a user-friendly scanner. The price is reasonable for its features abilities. This is best recommended for starters. The OpticFilm 8200i SE offers a great way to scan film and slides in a speedy and detailed manner. It can scan up to 7200 dpi resolution in approximately 113 seconds. The output quality is astonishing and offers multi-format output options – JPG, TIF, PCX and BMP. The SilverFast® SE Plus 8 software helps the cleaning and detailing of the scanned images. Though OpticFilm 8200i SE is not a stand-alone scanner, it provides great option to scan film and slide and produce great result with its advanced technology. 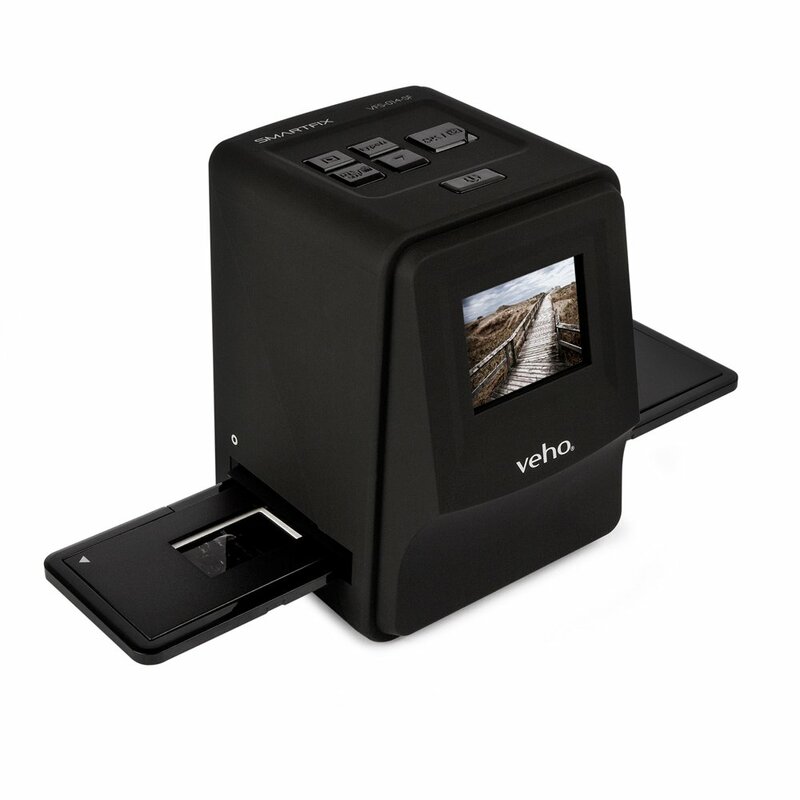 The Veho VFS-008 Smartfix Scan offers amazing features to scan and digitize old films and slides. It supports 35mm & 110mm slides and negatives. The image sensor is only 5MP but it has a CMOS lens which makes the image more accurate and contrast. The resolution can go up to 3600 dpi and the output format is JPEG. The scanning speed is absolutely fast which takes up to 2 seconds while the preview speed can take only up to 0.5 seconds. The scanner supports PC and MAC connectivity using USB. Having a scanner like Veho VFS-008 Smartfix Scan can help you scan, digitize or archive your old slides and films. Though it is not recommended for big project scanning, the features this scanner have is a great value for money. 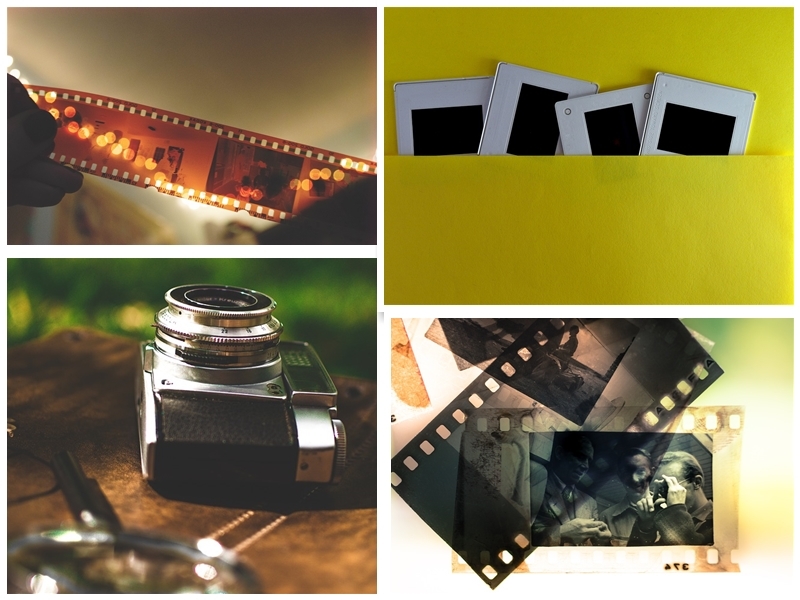 If you have a large number of 35mm slides and 35mm film negatives that you want to turn into digital photos, these are all great options that will provide what you need. These slide and film scanner reviews should be a great way for you to determine the kind of machine that you want and that you are able to afford. Now you will be able to take all of those memoirs that you had stored in boxes and upload them to your computer, website or social media pages. We recommend that you invest on the best quality you can find if you have a large collection of slides or films that need to be converted to a digital format. Please guide me to purchase a film scanner which can be used professionally without hampering the quality of the scanned output to even the slightest. It should automatically remove the dust and scratches of the original and give a sharp and vivid output to the fullest satisfaction of the customer. I would like to use it for business purpose. Kindly also let me know the price of the same. Thanks. If you’re using it for business, I suggest the Epson v800 or Epson v850 which are great when scanning photos, slides and film though these scanners are priced around $600-$900. If you’re looking for cheaper one with amazing results, the CanoScan 9000F Mark II, Jumbl 22MP All-In-1 Film & Slide Scanner or the Epson v600. The Epson have Digital Ice which is created to remove dust and scratches. Use a drum scanner. Find a big room to put it in, and spend a lot of time learning how to use it. Used, expect to pay several thousand and make sure it works before purchase. New, if you can find them, up to $50k USD. All other options will “hamper the quality”. Imacon are marketed as drum scanners. They are not. They are a low cost ($10-20k) cheaper alternative to drum scanning with inferior lenses and image quality. Epson V whatever, Nikon coolscan, Plustek are not professional devices. They barely get above 1800-3800 optical dpi and 3.6 Dmax. Fine for home use, not for professional results. Gosh Joe, we have 32.000 scans up on Getty right making us money each month. All done with Nikon Coolscans. Can’t possible imagine who would even bother with a drum scanner these days. Would your suggestions of the Epson v800 or Epson v850 be the same for scanning old slides and negatives in museum collections? We have a large number of slides and negatives we need to scan to digital that are in our collections, several from long term archaeological projects done in the 1970s to 1990s. Most of slide film used was Kodachrome. We will be scanning to a new iMac. Yes. The Epson v600, V800 or V850 are great for scanning tons of old slides and film negatives. What I like about the Epson is its Digital Ice technology which automatically removes dust, hair, scratches or other obstructions. The PowerSlide 5000 is also good option only for 35mm slide scanning. It can scan slide by batch up to 50 slides nonstop at a time. It depends on what you mean by large number. If it’s several thousand, use a macro lens and a professional DSLR. You will not get dust removal so you will need to unmount the slides and clean them. It might take a week to unmount and clean 5000 slides. Only silverfast studio AI has dust and scratch removal for kodachrome. It is a black and white film emulsion so normal software dust removal doesn’t work. Epson Digital ICE won’t work. Also Kodachrome images will come out blueish unless you use an IT8 target for color. Silverfast has a kodachrome setting but you won’t get totally accurate colors. IT8 target slide runs around $500-$800 if you can still find them. If it were me, I would use a slide copy stand and macro lens attached to a DSLR. You could “scan” several thousand per day. I would spend a week unmounting the slides and cleaning them and then use the dust and scratch removal in photoshop to fix the rest. I have the Epson v600 to scan my 35 mm negatives. However I was wondering if you knew of an easier way to simply view/magnify negatives. I am going through all my negatives to compare to my prints, and am trying to figure out the best way to easily view/magnify the negatives, so that I can print any ones that I am missing. Is there a device that does such a thing? Do you mean previewing the negatives? Try the Loupe Magnifiers. That’s the easiest way to preview and magnify negatives to help you spot which negative you are missing. Hi, I’ve just inherited 1000s of family slides, each slide in a metal jacket, then seated in metal magazines. My job: present each family member a CD with pictures and history. I’m thinking I’ll scan each slide to my PC hard drive, enhance, edit and order them and then write them to CDs. Also, my Dad meticulously wrote the when, who and where on EACH slide, so I’d like to be able to write those captions on or next to the scanned images. Is there a scanner or process that would make this easier? Any thoughts on which scanner or software that would help me save our family history as Dad intended? The Epson V600 is rather advanced than the Nikon Coolscan. 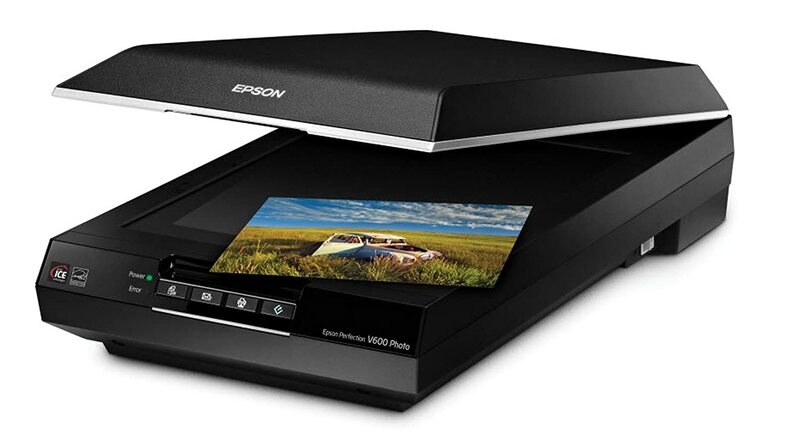 The Epson V600 is not just a film and slide scanner but also a photo and document scanner. What I like about the V600 is its later OS compatibility, resolution and efficiency (Energy Star Certified). Though both use Digital Ice which is a great feature for fixing those scratches on images. I have metal the same situation as Patricia Johnson above but the metal slides don’t fit in the Wolverine F2D inserts. Is there a special insert for metal slide jackets that I can order or do I have to remove each slide from the metal jacket? Have you tried removing those metal jackets? The Wolverine F2D will feed on a 35mm thick slide. I am between the Epson v850, Canon CanoScan 9000F Mark II, and something like the Jumbl 22MP. Whats the real difference in the V850 and the 9000F? I mean money is not the issue however the resolutions seem about the same. I don’t want to throw money down the drain but I will buy the Epson V850 it it blows it out of the water. I am going to do a family project of 1,000 of photos and want the best quality. I was thinking of the FF-640 but that idea is blown out of the water because most photos are in a folder. I want the best quality at this point. Please tell me the exact difference in these three models and why I should choose whichever one. There is one thing I can describe the FF-640 – it’s incredibly fast, but if you want a scanner with great quality scan I go for v800, v850 or the 9000F Mark II. The FF-640 doesn’t have the best quality output but it is built for speed and does have a poor text quality recognition especially if your photos are very old.The Epson v800 and v850 have superb image quality output. What I like about these scanners is its digital ice features which detects and corrects scratches and removes dust on photos. However using the digital ice makes the scanning slow. On the other hand, the 9000F Mark II is also great scanner. It is simple and easy to use. While the Epson utilizes digital ice, Canon develops its own Film Automatic Retouching and Enhancement (FARE). However the scans are not that excellent but not bad either. In terms of energy efficiency, there is an Epson v600 which is Energy Star Certified. Hi, Can you comment please on the risk of driver conflict if I have say a HP All-In-One scanner/printer installed and then install say the Epsom V800? I have Windows 10 on my laptop. I did have an issue a while back with two HP devices installed and I was advised that HP don’t allow that. Any advice would be appreciated. What I would recommend is to debug. Uninstall the drivers and try to install it one by one. I have no conflicts between two drivers installed on the same OS. Thanks for that. Maybe it was just a HP thing. You’ve given me confidence to give it a go! Thanks. I just tried and returned the Jumbl 22MP. I got it to replace an older Jumbl 5 MP, hoping for better resolution. The new Jumbl often got colors badly wrong – yellow or green in excess. The older Jumbl scanned the same negatives without problems. I’m still searching for a scanner to digitize thousands of 35mm negatives and slides. The 5MP Jumbl is fast and easy. The Jumble 22MP was a disappointment – perhaps I just got a bad unit. I have an old Konica-Minolta Dimage scanner, however that software is no longer supported and does not work in Windows. It is also a very slow slide scanner. Have you tried to clean the lens of Jumbl 22MP or the films you want to scan? You can preview the image first and adjust the color and exposure. 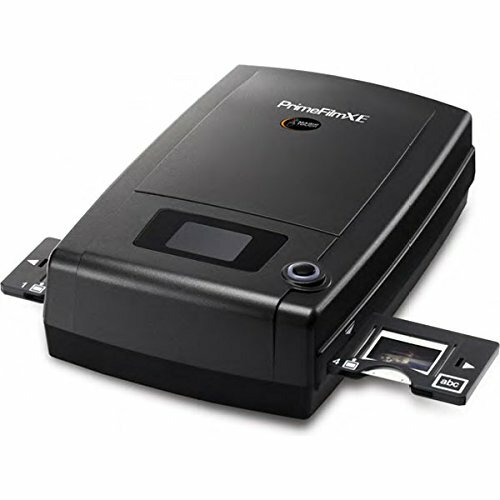 Regarding with batch slide scanning, the PowerSlide 5000 is a good option while Wolverine F2D Mighty 20MP 7-in-1 or 4-1 is a good for fast 35mm film scanning. I usually choose the autofeed scanners rather than flatbed when scanning hundreds of films. There is Plustek OpticFilm 135 which is under $400. You will be amazed by its scanning speed but the output is not good. I use the autofeed scanners when scanning multiple films and slides. The PowerSlide 5000 is by far the best option for batch scanning. Can you recommend a stand alone scanner for photos? I am trying to digitize a photo collection for my hometown Historical Society and would like higher res stand alone photo scanning on site that I can clean up later on my computer. I will be starting a project of scanning thousands of family 35mm negatives and slides. I am in the market for a high end scanner that has an output that allows for image manipulation in Adobe CC. Should I be looking for a scanner that produces RAW files? What would you suggest? Do you need fast scanning method or just the typical flatbed or auto fed scanners? All scanners produce JPEG, TIF, BMP or PDFs but mostly JPEG. This limits you to a few options. 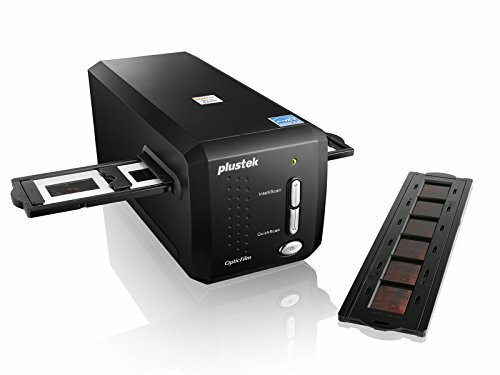 Plustek makes OK scanners, the 8200. Pacific Image PrimeFilmXA is a few notches higher output–it deals with darker slides better and has adjustable focus. Upgrade to silverfast AI studio. It makes a difference in output as it allows focusing for the Pacific Image and also produces high bit raw files. Get your negatives perfectly flat. Lay heavy books on top of them for several weeks to flatten the film. Sort your slides by type-kodachrome, ektachrome, fujichrome, etc. Buy an IT8 target slide for better color-and use the auto calibrate function in Silverfast. Each particular scanner will produce slightly different color. DO not use infrared dust removal for kodachrome slides-it does not work properly. Buy a fast computer with a large SSD drive. Silverfast produces very large RAW files 200mb-900mb a piece. I have , lots, maybe thousands of photos and negatives, and some slides that I want to digitize. I am not too concern about resolution. Enough for uploading to Facebook or view online. Speed is of the essence, or my key concern. I think I probably have negatives for my print photos. Hence, if I can get something that can scan negatives and slides quickly, that is good enough for me. Ideally something that can feed negative strips quickly. If that can load on its own in batches without me watching over it, all the more better. I have read the above reviews quickly but am unsure which meets the above criteria. Thanks for any advice. Great options are Jumbl 22MP or Wolverine F2D which have speed loaders to speed up scanner without reload. Both are fast scanners. I have 100+ rolls of negative 35mm film rolls to be developed, and the cost to print all these would be far too much. I would like to have a scanner which produces good colours and is fast, which one would you recommend? My main concern is colour, I’ve looked at a lot of examples for different scanners and the colours always look a big blue or unsaturated. With regards to color quality, most of the scanners will auto detect the color of the films scanned, at least close to “accuracy” scanning. However, there is also options to adjust color and exposure like the Jumbl 22MP. On the other hand, beautiful scanned images are not created just through scanning directly but there are software to optimize the color, saturation, exposure etc. like the Photoshop, SilverFast or Photoshop Elements. Great option for your case I would suggest Epson Perfection V600 or Plustek OpticFilm 8200i SE. So much choice and so many mixed reviews! I’m simply looking for a device to scan black and white negatives in strips of 8 photos. Time / speed isn’t an issue – what do you recommend? The Epson Perfection V600 or Plustek OpticFilm 8200i SE are great options with excellent output quality. I had a film scanner I bought a few years ago but now doesn’t seem to work with my new computer. I have Windows 10 now. can you recommend one, reasonably priced and decent quality, that will work? The Epson v600 is a great choice if you want it to be connected to your computer. However, if you want a stand alone that requires no computer connection, the Jumbl 22MP or Wolverine F2D are the best, for entry to mid level at least. Posted a question but it disappeared, so trying again. I apologize if this is a double. I currently have Brookstone’s iConvert Instant Slide & Negative Scanner. It is brand new – never used. Do you know anything about it? I am using a 64mb SC card but it keeps telling me the memory card is full when the card is empty. I even tried reformatting it. I was wondering if it is like the Veho VFS-008 Smartfix Scan which can only support a 8mb card. It doesn’t say anything about that in the manual. Also do you know where I can get technical support since it is an older product? Do you mean SD card? And where did you buy the scanner? The Veho VFS-008 Smartfix can hold up to 2GB of data. Try this link if you need support http://www.brookstone.com/pd/iconvert-instant-slide-negative-scanner/649236p.html There’s a customer care number on the right and their email is customercare@brookstone.com Looks like they discontinue this product. I have a whole bunch of 35 mm negatives (mostly B&W) stitched together into a large roll (not on reel). Is there a reasonably priced scanner that can automatically move the film along, center each frame, and produce high resolution scans enough suitable for 8″x12″ prints? Go for the Epson V600. It has an excellent resolution and can accommodate for that size. It has a Digital Ice technology that can remove dust and scratches from your negatives and you’ll get quality prints. I don’t usually go for automatic feeding but for this scanner it will help you center the film with its film holders though manually. If you have that much of negatives, I say scan at a time. Other suggestion for something that can handle a roll? I understand, but try the Wolverine F2D. Be sure to clean your negatives first for best results. That scanner will handle a bunch of films and it is fast. Plustek OpticFilm 8200i SE has a very good speed scanning too and has scratch and dust removal technology but will stretch out your pocket. How long are your stitched films by the way? They are standard 35 mm rolls with 35-38 frames each. I don’t know how many of them are there but the entire roll diameter is about 7″ with a 1″ center core. I see, the Wolverine F2D Super can do the job. I have negatives from the 1950/60s (50 x 65 mm), 1970s (15 x 18 mm) and 1980s (25 x 35 mm) and wonder what scanner is best to buy for these. About 1000 pcs all in all? I’m not quite so sure about those film dimensions. Can you be more specific about the film designation? Hello. Wonder if anyone could help me, I am looking to get some 12 x 8 prints made from 35mm slides, the slides are historic and it is important to try and get the best possible quality prints they can provide. I have already some prints made by a company that I sent them to, they used a Fuji Frontier printer at 300ppi. My question is 300ppi seems awfully low especially when I see other scanners have over 9000ppi capability. To be honest I wasn’t very happy with the results and I am sure the slides could be reproduced better. Can anyone please point me in the right direction and advise what would be a good scanner to buy to reproduce at high quality. Thank you. How many are those 35mm slides? If you want a flatbed scanner, I recommend the Epson V600 or V800 if you don’t mind about the price. Both have superb scanning resolution up to 6400 x 9600 dpi for prints. They produce high quality prints for slides and films. The Digital ICE helps with the quality output. If you’re in a hurry, go for Automated 35MM Slide Scanner by Pacific Image that has batch scanning features and has 5000 dpi resolution. Hi. Thank you for your advice. I guess I have approx 300-400 slides so quite a number! which could prove costly, still that said I don’t mind taking my time as long as the quality is the very best. It seems a lot of people recommend the Epson v600, any other thoughts would be welcome and I am very grateful for any advice. Thank you. You are welcome Gary! I like the v600 a lot though it takes time scanning films and slides. Man its a tedious job but worth it. Since you have important slides to scan and print I’d always suggest to get a high DPI for prints. And v600 is an efficient scanner, a certified Energy Star. Great! That’s a real help. Thanks again for the advice, off to source an Epson v600 scanner! Just been reading some reviews of both the Epson V600 and V800, seems V800 is slightly favoured but then I guess that’s reflected in the price, around £200 more. I would imagine the resolution difference is negligible and most buyers would be happy with V600? Oh dilemma! Yes the V800 is also a good choice if you don’t mind the price. However, if your requirements are met by v600, go for it since you need a high quality prints with an excellent DPI. Hi, I have read all the reviews and am confused as to what scanner would suit me best for the job in hand. I have 2000 35mm slides to digitise and I have read that some software doesn’t work on Kodachrome slides. I have mixed slide manufacturers in cardboard and plastic mounts and would like a good result but have limited funds. Are there scanners that do multi loading? Can you help please? The Wolverine Titan 20MP is great choice for that. That number of slides need a batch scanning but I don’t recommend the automatic slide scanner by Pacific Image because it’s hefty. The V600 is also a good option for that. It has a great quality output for slides. Also, have you considered the Kodak Scanza? I’ve heard a lot of positive reviews about this and will include this on my review soon. Many thanks for your reply. Very helpful. Hello again! Been doing my research on the Epson v800. I notice most online reviews are very positive but one I came across is slightly puzzling, it mentions the claimed resolution of 4800 and 6400 dpi is wrong and that it can only achieve around 800 on photos and about 1800 on slides/negatives. Surely this can’t be right?! How can an advertised high end product be so far off the mark?! I understand online reviews can not always be relied upon and there is no other remarks to substantiate such a claim but your views and that of the readers would be most welcome. Thank you in advance. Remember that it is the interpolated resolution so that you can achieve a higher resolution prints. By the way what particular size of prints you wish to print? I am looking to get 12 x 8 prints from 35mm slides. Obviously I would like to send the best possible digital files to the printers. I am leaning towards the Epson V850 but need to be sure before committing to buy! Sorry for late replies. I am busy with work. I believe you can achieve that with v800 or v850, even the v600 will do. That’s really helpful, thank you very much. Does anyone know of a scanner that can digitize one of the two 35 mm slides on a mounted stereo 3D slide? Scanning 3D stereo slides is very tricky. Most of scanners you can find online don’t have a dedicated mount to hold such type of slide. The closest I can think of a scanner is the Kodak Digital Film Scanner. But you need to improvise or scan one image.